Searching for a unique Lowcountry treasure? It can be found at one of the many unique and eclectic shops of Hilton Head Island and Bluffton. Shopping is a favorite activity here, with more than 200 outlet shops, six marina villages, numerous boutiques and many popular retail chains. Spend some time exploring and you will find something special. We truly have something for everyone. The South End of the Island is the heart of the vacation area. The very first shopping center on the Island and a perennial favorite is Coligny Plaza at the intersection of Pope Avenue and North Forest Beach. Considered Hilton Head’s “downtown” there are over 60 stores, 15 restaurants and an unique movie theatre. Candy, T-shirts, and great apparel are there along with groceries, restaurants and a hardware store. Coligny Plaza is across the street from Coligny Beach and within walking distance of many hotels and villas. 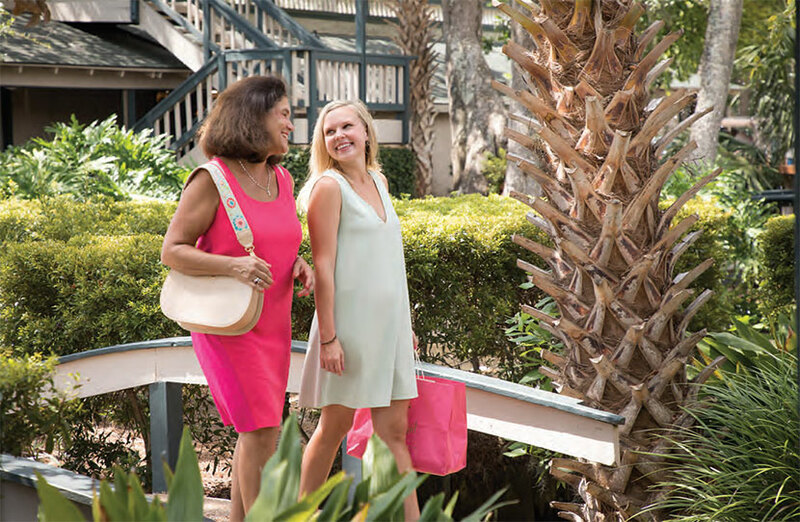 Coligny Plaza has been the home to many Island visitors’ greatest memories for decades. No trip to Hilton Head is complete without at least one trip to Coligny.